Google Plus is going to shutted down In December 2018, Google is going to announced our decision to shut down Google+ for consumers in April 2019 just due to low usage and challenges involved in maintaining a successful google product that meets consumers’ expectations. We want to thank you and all the audience for being part of Google+ and provide next steps, including how to download your photos and other content. 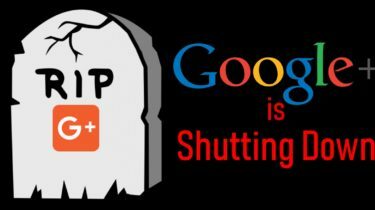 Well are are here to tell you that Google one of the oldest product that is Google Plus is going to Shutted down from April 2019. Google plus is goinge to shut down announce by google and the reason behind it is only the low user response and user interest in this google Product. Google announced that its google Plus product is going to shut down in upcoming April Month of 2019 Just google already give update about this to whole interner audience and google Plus user all the data will be deleted from google plus plateform. Well Google did not give any commitment about it that it will bring back its google plus product.Audience is expecting the google plus will be come back with some another feature and application desing and make user contribution again with this google plus feature.